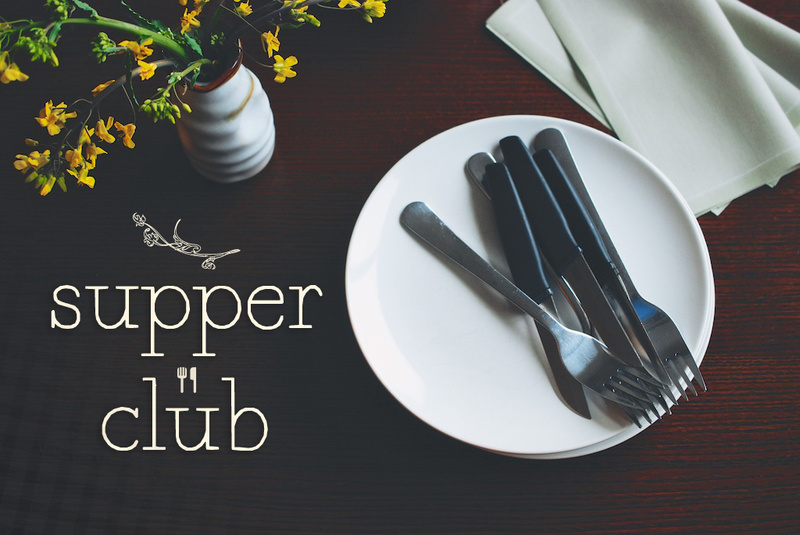 The Roaming Kitchen is pleased to announce a Supper Club series, in collaboration with fellow food blogger, A Pug in the Kitchen. We share the common goal of sourcing ingredients as locally and as sustainably as possible. We’re mutually interested in supporting farmers, small producers, and local businesses. We also both love to spend time in the kitchen, testing new and old recipes, writing menus, and feeding others. 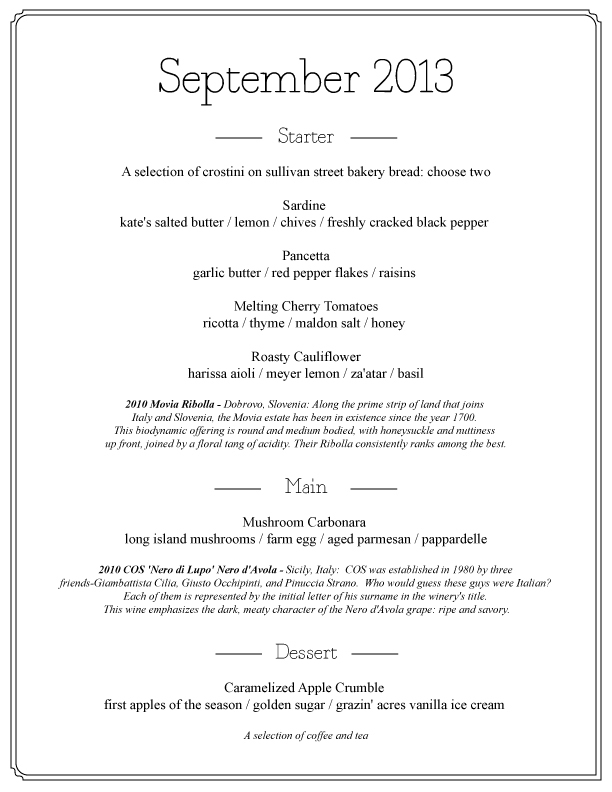 This dinner is intended to straddle the seasons: what do we want to eat at the end of summer, at the beginning of fall? Exact address will be given upon booking. Dinner will take place in the the dining room. In case you have puppy allergies, you should know that two friendly pugs live on premises. We will do our best to stick to the menu presented, but some items may change, based on market availability. Please apprise us of any food allergies when booking. We will do our best to accommodate you. Wine pairing are thanks to Brian Robinson from Gnarly Vines. Yes! I’d love to come! Please enter any details you’d like us to know, including your Starter preferences.